Change Management is considered as the critical task in an organization .Most of time the leaders are responsible for the implementation of change. According to the past statistics 80% change is failed and sometimes objective of change is not successful, however there are also chances that these changes are succeed after the set deadlines. Different change management process are discussed which may help to implement the change. Different behaviors’ of the people are observed, in some organizations people are willing and sometimes they have certain fears of change. The independent variables of this study are Openness to change, Conservative to change and Anxiety and dependent variable is change management. Close ended questionnaire is used to collect the primary data and secondary data is collected through different articles and journals as well as different material available on web sites and most of the data is collected from the employees of public university unit of Analysis is individual. SPSS version 16.0 is used to conduct the Analysis. Correlation, Multiple Liner Regression Reliability Analysis and Normality is tested on the collected data. 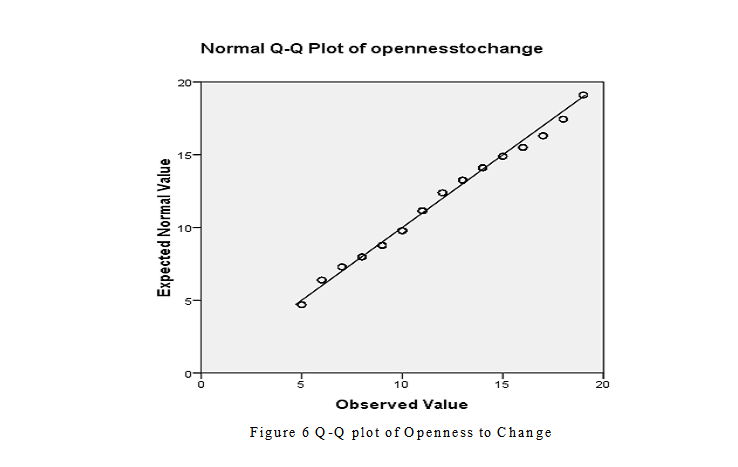 The findings shows that there is strong relationship between openness to change and change management and other two variables are not significant with respect to change management. So these findings suggest that by applying different change process techniques and proper communication may reduced the fear and it will turn into openness. If employees are happy to adopt the change, there are maximum chances that organizations will succeed in implementation of change. All praises to Allah for the strengths and His blessing in completing this thesis. I would like to express my sincere gratitude to my advisor for the continuous support of my MBIT research, for his patience, motivation, enthusiasm, and immense knowledge. His guidance helped me in all the time of research and writing of this thesis. Secondly I would like to dedicate my research work to my parents who support me throughout my life, It was their love that raised me up again when I got weary. I am grateful to my brothers for always being there for me. Now a days, the change is continue process and today quick change is consider as edge of society. Adopt the change is considered based for a successful business. The management should have enough capacity to accept the change and implement the change to move with the global world. The change management discusses the business operations from planning to control for example product development customer satisfaction as well as organization and its governance structure. Openness value motivates the individual to accept the change and conservative values preserve the person to change.The academic scholars have general consensus about the personal values that they influence people point of view and thinking and also interpret their environment. Whenever there is any change occurs in the environment of organization it increased uncertainty because organizations are always sensitive to their internal or external environment. Some time change is occurred because organization finds new methods to conduct different operations. The objectives of my study are to investigate the relationship between Change Management, Anxiety, Openness to Change and Conservativeness. As the modern civilization is moving fast and it’s the era of change. When the society is changed the environments within the society will also changed. It is within the framework of ever changing environment that organizational changing and its more precise extent that change management has been recognized as a field within organizational studies. 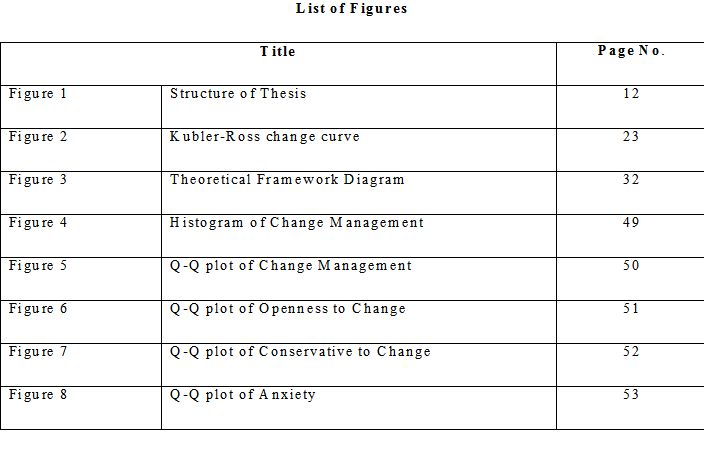 My thesis is motivated by an interest to explore the reactions of employee’s at work in organization when faced with the need of “change Management” and also examine that how much they are willing to adopt the change, as well as determined the relationship of uncertainty with change Management. The little effort has been made to realize the employee’s behavior about the change management, that in the working place when changes occurred how they react, they happily accept the change or take it as a threat and then resist. It also helps to examine the impact on change management when there is already anxiety exist in working place; people have a fear regarding change. It will help to change the employee’s perception regarding change that they should take “change” as an opportunity not threat. There must be some training session for the employees to change their negative thoughts into positive regarding change. All data is collected through different articles, case studies, conceptual papers, reports and different websites. The (Kirings, Dec 2003) takes data from the Public sector, they Explore the efforts of managers to engage in the change initiative; however they took place in the perspective of administrative reforms. They conduct interviews and used documentary data as a source. According to the Kirings,the communication is most important and initial stage of the negotiation about change. They describe the two models of change one of them is rational model and other is sociological approach. Rational model focus on planning and problem solving and second approach focus on changing and uniqueness of each situation. According to different studies the leadership is important factor to bring successful change. This study demonstrates the problem which is occurred the change is not supported with enough resources and not fully implemented. Resistance is not a problem but the change strategies are real problem. (Oreg N. S., 2015) Identify that what happened with the individual when the change is occurred at the collective level. Identifies the Anxiety which is occurred due to the change process, Personal values are openness and conservative to change interact with the type of change which is imposed and voluntary in predicting identification following change. That was the longitudinal study. This article manipulates a change that is imposed or voluntary and relationship between values and type of change. 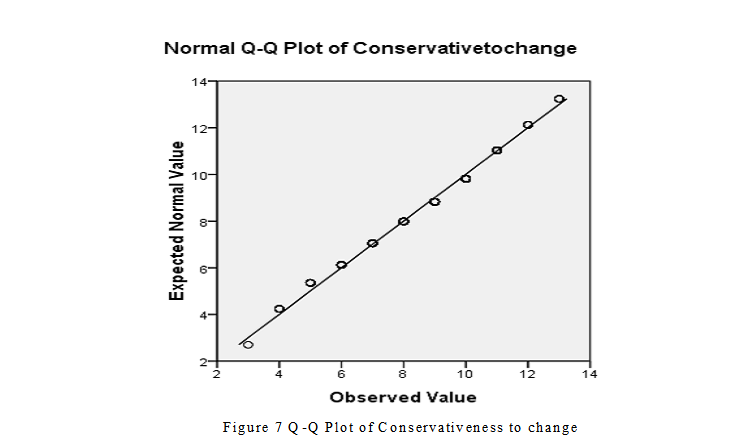 According to Oreg N. S,when the change is imposed the personal values are conservative and it create high level of anxiety among individuals who are not in favor of change, same case when the change is voluntary the personal values are openness to change and there is low level of anxiety because change creates some level of uncertainty. The methodology used by this study is Questionnaire. The Questionnaire was sent via email to 500 employees who are permanent in University. (Oreg S. , 2006) Test the model of resistance to the organizational change. In this study Oreg and Shaul examined the relational ship among Employees attitudes, personality, organizational context and work related outcomes and resistance components. These attitudes were associated with job satisfaction, organizational commitment and the intention to quit the job. In this study the changed was caused due to the merger of two departments within the organization. The primary change is change in the organizational structure into matrix design. The second change is that now employees have two supervisors to answer them and have different projects. To test the hypothesis in this study, interviews were conducted with employees and managers who are relevant to change. The primary data were collected via surveys. The employees who have stress and angry due to the change is less satisfied with his job. However they have more intentions to leave the job. According to (Juliana Sutanto, 2009), to succeed the implementation of information system the change management is very essential part. As there is rapid advancement in the information technology but as compared to growth there is lack of guidness for implementation. This Research explores the trend with the help of case study of a country. This research identifies the critical success factors for change management in IOS for the public. According to the findings there should be proper flow of information through senior management and cooperation of affected organization to overcome the resistance. However proper advertising could start the change in public. The methodology is case study and primary data is collected through interviews. The research finds that if the top management support then there is higher energy of change and higher beliefs of change in employees. The top management can initiate the change but can’t continue it. However the Advertisements can reduced the anxiety of new technology and encourage the people to use it. (Colletti & Chonko, 2005) Describes the initiatives of the change management that is undertaken by the companies to maintain their competitive advantage as well as preventing the employees to quit the job. This paper examines the challenges about the change management initiatives business cycle and implementation of changes for the sales manager and objectives of change management. 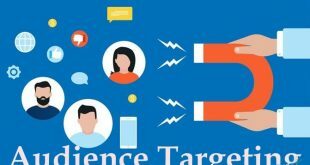 The major findings of this paper is that there should be proper communication with the customers regarding to related aspects of change management process to increase their sales .The data is collected through surveys and the respondents are 259 executives of the different companies. In this survey they find out that there should be 3C’s to implement successful change management. These 3c’s are coordination, commitment and last is competencies. (Meisiek, 2002) The “situation drama” is new management tool for the change management. It is a unique way to promote and support the organizational change. The main purpose of this tool is to create awareness of problems and to motivate employees for change. This drama particularly practiced in Germany and France, Another practice is used in which employees also participate in this situation.They asked the questions about change to the employees and note their feelings and readiness about change. Also notice the threats which the employees might face. Unlike other cases or drama it’s not for entertainment but also influence the employees. The second order remarks are collected through interviews and observations. The questionnaire is sent to audience members a week after the event to observe the acceptance level after and before situation drama. But still it is impossible to fully determine the direct effect of situation on employees working behavior. (Hayashida, 2009) That is the report on change as management problem or problem with management. Change is associated with uneasiness and uncertainty so mostly employees or victims opposed to change. This situation is challenging for management to convince their work force for change. This report was conducted on the Water supply Company. According to report findings it’s the management core responsibility to aware its employees with the need of change. Change not always viewed as negative it can be a positive or as opportunity for work force in an organization. However change can be a problem with management or management problem. 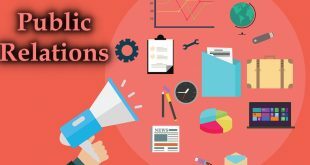 The manager must have knowledge about organization functions and when these functions become outdated then there is need of change to maintain the productivity of organization. However if manager reduce its responsibilities and not focus on it then it’s become problem with management. (Edmonds, 2011) Describe the managing change; it helps the organization to realize the significance of managing organizational change in vague economic climate. The training in change management can provide a batter knowledge for its participants and understanding that how to implement change in organization. This article shows that how to prepare for a change to get a successful results. According to the findings Edmonds and John, employees resist to change because it is always unknown to them, so to achieve the batter results apply the tools and techniques that are known. Give them opportunity to ask about change and company vision as well as express their views. Once the strategy of change is place in the organization it will emerge in the organization it is difficult to manage the change as a whole. (Burnes, 2006) Examine the organizational change and the development of management, there is the argument that there should be proper alignment between organizational change and management development. The data is collected through surveys of two organizations. This study identifies the benefits of organizational change and management development as parallel implementation.Now a day the most important thing in organization is leadership and change as well as development of management.Development of management is not only improving the effectiveness of individual manager but also the improvement of management performance as a whole and organizational effectiveness. Lack of managerial skills, lack of communication, functional boundaries and employee’s opposition are major hurdles to implement change. The article shows that there is lack of managerial skills and efficiency that is the reason of failure of change management. (Neus, 2009) The IBM Global making change work study identifies that how change was implemented. There were 1500 participants over worldwide. They conduct surveys and face to face interviews with the project managers, project leaders and change managers from well known organizations. They investigate the real life experience of those leaders who ever faced organizational, technology based change. These large and small projects had objectives of customer satisfaction sales and revenue growth, cost minimize, innovation and implementation of new technology as well as entry in new market and organizational change. According to findings of study there is 52% succession that follows the formal change management process and only 36% succeed who improvised according to situation. This study identify that people related factors present greater challenges than technology related factors as they are easy to measured, The companies cannot longer justify an improvised approach for change management, there should be systematic way. The other findings of the study is that there must be two way communication in an organization, However two way communication and employees involvement enable and strengthen the employees and then change happens with the help of them not just to them. To successful change it’s the responsibility of leader to empower and enable its people at all levels of the organization. (Werkman, Boonstra, & van der Kloot, 2013) Although there is a lot of study on the problems of change and failure of change, this article is one of them. 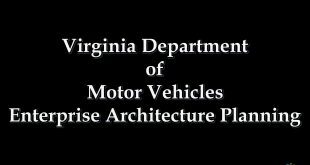 This research is conducted in more than 300 business units and enterprises. This study is about the change and perception of change and patterns of changing organization. Usually leaders are failed to established the urgency of change and the change process stopped. Leaders are too powerful or having no control. Data were collected through three networks of Dutch management training institutes. The Mode of Collection is questionnaire which is distributed to top manager, line manager staff members and employees within organization. This study identifies the inaccurate flow of information, outdated technology, rigid culture, inflexible organizational structure and political behavior in organization as barriers of change. Unclear goals and policy and usually unpleasant culture cohere with unclear change process. The Organization strategic goals are associated with the change management when ever organization goal is clear, flexible and pleasant then flexibility can be found in change management. In this study the employees have resisting behavior when organizational characteristics are negative ,employees also resist to change whenever they are not involved in it, and when they are unclear that how they contribute in vague process. Power strategies are also part of resisting changing. According to (Lattuch & Young, 2011) for developing organization the effective change management is important concept. But it is also important that how this change will affect the employee’s behavior in an organization as well as it is difficult to manage the change without considering them. This paper conduct surveys of 168 young employees that how they perceive about change management. They identify that change is associated with uncertainty and this uncertainty caused stress about job. There are many methods and techniques regarding implementation of change. Sometimes people agree upon the change but they can’t understand that how the change will implement in an organization, that’s why change management process is not the responsibility of single body but it is only possible with the collective contribution of employees in the workplace. However according to Kotter’s change management process there are 8 steps of change management process. First step is creation of importance, Build the group, make a vision of change, Communication the vision of change, Eradicate the barriers, Go for Quick Wins, Let the change mature and last step is integrate change. The first step is to create the need of change and told the employees that it is also the growth opportunity of employees not only the organization then build the team that support the change and give them responsibilities to implement that change when people agree that the follow the change then create the vision of change, after creating the vision it is very important to share it with your employees so that they can well understand about the change. There are always some resistances of change i.e. people may resist. Not only people resist there is possibility that system and technology resist, so identify them and eliminate that factors. In 1969 Kubler explain the five stages in his book “ON DEATH AND DYING” this stages shows the normal feelings of people whenever they face the change in their life or workplace. Denial is the first stage whenever someone doesn’t want to believe that change is occurred and when they realized that change is real or they might be affected by this change the shock turned into angry that why this happened with them. Then the bargaining stage comes and when they realized that barging is not working it caused depression because they are uncertain about their future. Acceptance is the stage when they understand the change it is the stage when people can’t fight against the change anymore then they tend to accept it. Openness to change is the readiness to accept the change it can be said that is the acceptance regarding change. However it is impossible to get 100% this behavior about change. “It is the wailings to be open to the change that could boost the efficiency of the organization. Be willing to follow new ideas and if they don’t work you can always go back to the ways the things were”. The(Ertürk, 2008) explores the managerial communication role as well as employee’s participation and trust in leadership to create the openness in organizational change. This study was held in turkey. The data were collected through structured questionnaire in public organization of 878 participants. The major findings of this study are that the trust on manger effects the communication, however it maybe task communication, career communication. Trust and employees participation have joint effect on employee’s openness to change in organization. The employee’s participation and managerial communication is positively related to trust on management. The (Chawla & Kelloway, 2004) developed and tested the model of change management and then predicts the openness and commitment to large scale organization change. It is based on the sample of 164 employees. This study explores the direct effect of job security, communication and openness to change and indirect effect on turnover intentions. The participants were notified about this study via email. After week later the survey questionnaire was mailed to the employees.They were given 1.5 weeks to respond and complete the survey. (Rao, 2014) Identifies that how openness to change is refined in the organization that is multicultural. However it can be cultivated through proper communication and discussion. In this study the employees take part in inquiry procedure and the focus group discussion evaluate the impact of discussion on their mind-set regarding change. The findings show that there is increase in sense of safety and increase in voice behavior. It also increases the energy and motivation for a change. Anxiety is not only stress and worries, it is more than stress. Stress and Anxious feelings are common and temporary while anxiety is the ongoing process. 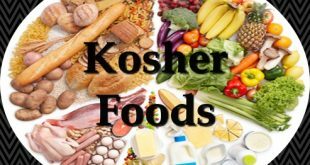 It is the uncertainty that is incurred due to the combination of different factors like personality, health or different stress events i.e. stress of job or change. According to (lrmer, Bordia, & Jimmieson, 2007) Anxiety has been identified as a main effect of organizational change for the employees. There is lack of understanding about the process through which employee’s deals with such perception. This study identifies the role of different sources of communication that is related to change related uncertainty for the staff. The second study was conducted in government department that faced the change, restructuring of human resource department. This study provides the partial assessment of the relationship that is identified in previous work. It shows that the employees who received the change as growth have quality information about change. (Olgilive & Stork, 2003) Is the conceptual paper in which they examine the tensions around interest HR should represent and their part in change process .There is some questions regarding HR and organizational change that reflects the tension? 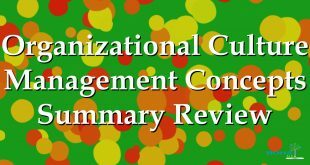 This study provides the historical context to present conversation about HR and organizational change. They interpret the scientific management, welfare work and professional supervision. This study focuses on problems due to change. However HR approaches to changed focus on efficiency, consistency and fit. Alternative to Conservative approach to change them offer a negotiation approach that would allow HR to establish on its history by enacting a role where different interest can be examined and realized. The(Lambert, 2007) developed the theory of change management with the help of dual framework. There study is based on the anxiety which is created due to change in organization; anxiety is the cause of resistance however they examine the possible preventions and treatment to reduce this anxiety. When there is crisis and uncertainty then the individual and organization both of them may suffer from anxiety related problems. They said that organizational anxiety can be treated as same as individual anxiety. This is the conceptual paper and use three case studies to analysis the model. This is the behavior that opposed the change. This value generates the resistance to change. “The extent to which a persona is motivated to preserve status quo.It includes the value of safety and security as well as value of conformity”. (COMMERCE, 2015) Dynamic Conservatism model is introduced by Donald Schon, in this model he assumes that organizations are naturally conservative and resist as well as struggle to protect themselves for any kind of change in the organization. He examine that there is the need of learning organization to identify that which organization should shed this conservatism and open to change quickly. Schon established the framework of reflection in action. In which he map the procedure to deal with constant change. It is the responsibility of management to identify the trends of macro and micro environment. He estimates the impact of changes on employee’s behavior. The job of the management is to consider the employees reaction and design the change patterns. The (Leung & Adams, 2009) explore the model of technology acceptance (TAM), they predict the user acceptance of internet and communication technology with different framework. This article used the bureaucracy theory to study the conservatism to change and resistance to change. The researchers are based of randomly selected government employees around 700 and conduct the survey. They interpret that Hong Kong government employees are reluctant to change. Younger and Highly educated people are willing to adopt the change. (Manning, 2012) Describe the hard times that currently faced by many organizations, especially public sector organizations in UK. This article review the literature of change management and identify the two basic problems of leadership, fail to implementation of change and successful implementation of change. However they introduced two more issues that when you have not clear vision then how you manage the change and second issue is when you have clear vision but employees are conservative to change and resist changing. They use the case study analysis. They identify that whenever the vision is clear and there is resistance then Mange the emotions avoid lies and engage in honest open and two way communications. It may limit the damage and provide the positive foundation for a change. (Waldersee & Griffiths, 2004) Identify that there is two approaches for the organizational change. First approach is participative in which employees understands the need of change and adopt the change easily however the second approach is unilateral approach, according to this approach the behavior of employees must be changed before follow the change. The result shows that unilateral approach is more appropriate than participative approach in organization. (Inalhan, 2009) Study the employee’s perceptions regarding change management. They implement the three phase longitudinal approach and it takes the time approximately one and half year to examine the process of change. For the analysis and interpretation they used the interpretative phenomenological analysis on the qualitative data. They identify that in previous studies there is lack of understanding of framework of people relationships and emotional significance. Considered the attachments in workplace may help to understand the reasons of resisting and provides the guidance to manage change in organization. H1: There will be significant relationship between Openness to change and Change. 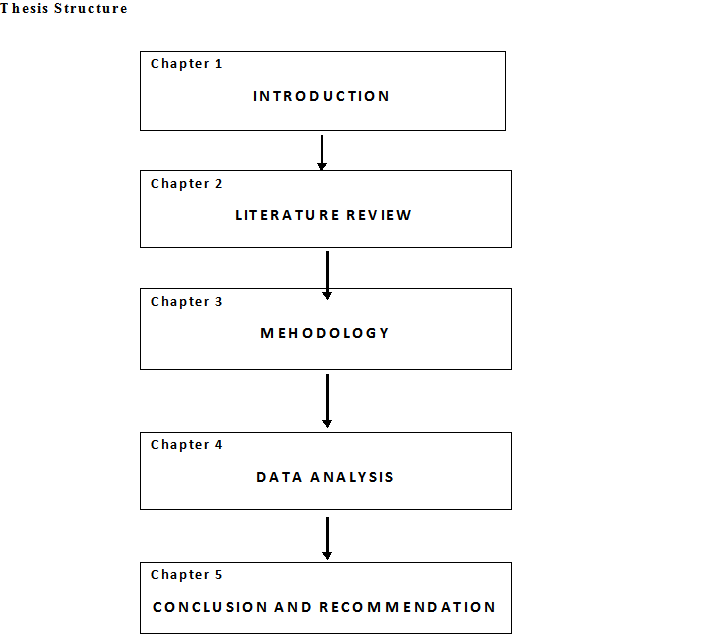 This chapter contains the data about research methodologies that are used in this study as well as questionnaire design, population and sampling. In the last of this chapter the statistic test are mentioned which are used. Employees in an organization are willing to accept the change. Employees are conservative to change. Anxiety as an obstacle in change. The study use descriptive research. This research is conduct to identify the characteristics of factors that are related. This study is cross sectional because it is conducted in one go or one shot. it is one time or snap shot study. There are two types of Data collection techniques in the research. The Qualitative research is based on the observational study. They have topics, focus group discussion and case studies. Quantitative approach issued the surveys, experiments and content analysis. This study used the Quantitative data collection technique on the basis of time constraint and topic. The data is collected through questionnaire and analyze that respondents faced the change management in their professional life and if yes, then what is their attitude toward change. Sample size of 160 is selected from the population. The non probability technique is used when we are not familiar with the chances of occurrences. The questionnaire in this study is pre coded in which scale is given and respondents have to select one appropriate option. The questionnaire is composed with the help of supervisor and internet sources, different questions are collected from different articles which are relevant to study. There are four sections of the questionnaire, first section is about the Change management, second section having questions about the openness to change third section having questions about conservative to change and last section is about the Anxiety. SPSS is used for statistical analysis of the data.16.0 version of SPSS is used in analyzing of data. 20 questionnaires are used for the pilot testing, it is used to check that the questionnaire and its items are reliable for analysis or not. Cronbach’s Alpha is used to run the reliability of questionnaire. The reliability of whole questionnaire is 0.745, 74% that shows that data is reliable. (Tavakol & Dennick, 2011) The Alpha was developed by the “LEE CRONBACH”in 1951 that provides the measure of internal consistency of a scale or test. Alpha is an important concept for the assessment or evaluation of the questionnaire .Reliability and Validity are basic components in the assessment of measurement instruments. The reliability is concerned about the capability of the instrument to determine the consistency. The internal Consistency explains the level to which all the items in a test measure the same concept and the same construct. The Table 1 shows the overall reliability of the questionnaire which is 0.745, its shows that it is 74.5% reliable that is good. The items of the questionnaire are 16.The Alpha shows that the items have repetitively high internal consistency. The reliability coefficient if 0.7 or greater than 0.7 is considered acceptable in most social science research situations. However the low value of Alpha shows that there is low number of questions and poor consistency between items of the questionnaire. The Maximum value according to the Article is 0.90, more than 0.90 shows that there are some questions that measured the same concept but in the different ways. These tests will help to determine that your data is normally distributed or not. Statistical test are easily make the objective judgment about the data but there is disadvantage of statistical data that they might be over sensitive to large data or maybe not enough sensitive for low number of data. Mostly researchers use the graphical representations of data (graph and plots), it will be a good choice to use the plots or graph when numerically data is large and sensitive. The Shapiro ratio is used for small data size and for those n>2000 then Kolmogorov ratio is used. Above table shows that p=0.28 which is less than 0.05 (p<0.05) it reject the Ho because the test is significant. It shows data is significantly deviate from normal distribution and data is not normally distributed. The positive value of skewness shows the right skewness and negative value of skewness shows the left skewness. Similarly the negative value of kurtosis shows the negative and positive value shows the positive kurtosis. Specialist statistics packages such as SPSS report a statistic called the standard error for both the skewness and kurtosis scores. This allows a simple rule of thumb to be applied. If you divide either score by its standard error and the result is greater than ±1.96, it suggests that your data are not normal with respect to that statistic and for large data size the range is±2.58. All the values are within the range which shows that data is normally distributed. 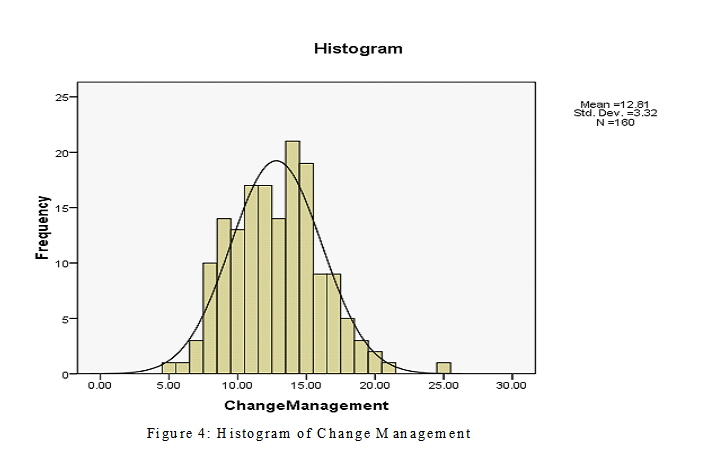 The Histogram of Change Management shows that data is normally distributed because the histogram has bell shape. In statistics-Q plots are used to compare the probability distribution with the help of plots. Q-Q plot is Quantile Quantile plot. If the distribution of two points is similar then the points will be approximately on the line. 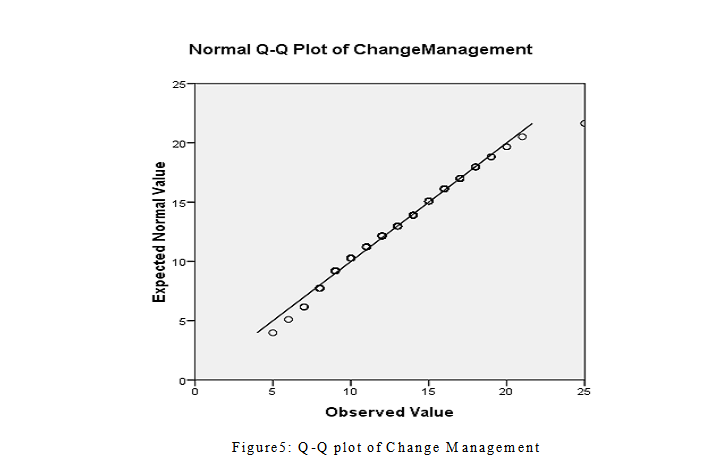 The Q-Q plot of change management shows that data is normally distributed as all points on the line and close to the line. This graph shows that data of openness to change is normally distributed. 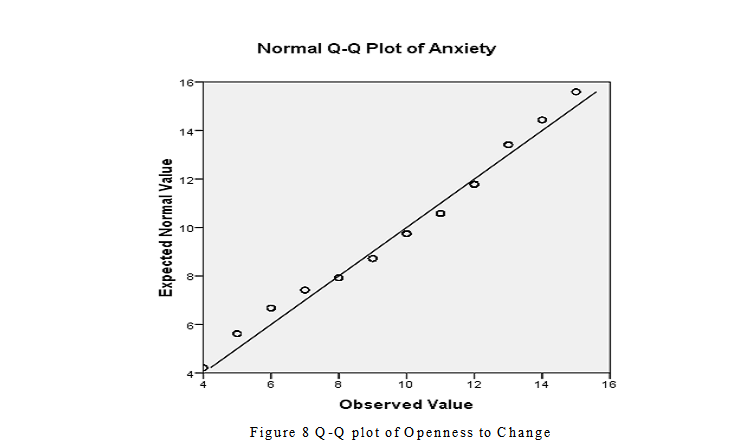 Graphical representation of Anxiety shows that its data is normally distributed. The SPSS allows us to enter the values in regression so the column “variables Enter “shows the list of variables that are entered in the regression analysis and second column “variable removes” shows the variables which are removed from the analysis. However it is usually empty. The column of method describes the method that is used by SPSS to run the regression, Enter means that every variable is entered in a usual way. The value of r is 0.255 which shows that there is positive and strong relationship and R square shows that the model is good fit.The range of r square is 0 to 1.if it is less than 50% then model is not good fit. However in this research the r square is 6.5% that shows that model is not good fit. ANOVA is also known as analysis of variance, and it is used to hypothesis testing. The column of f shows the overall significance of model. In Table 3 the sig value is 0.014 that shows that it is statistically significant and null hypothesis must be rejected as sig is less than 0.05. These estimates show the relationship between dependent and independent variables of the study. 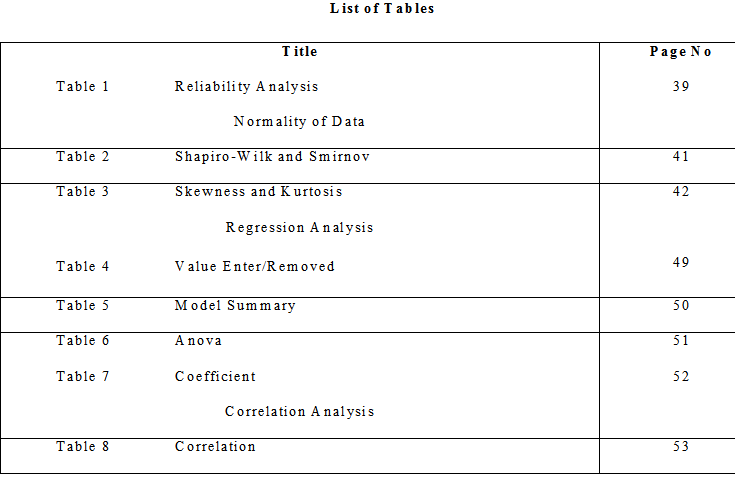 The unstandarized coefficient is measure in its natural unit, Coefficient of this table cannot be compared to analyze which one is more influential because they may be measured in different units. The coefficient is 0.285 it means that one unit increase in Openness to change may caused to increase 0.28 units in change management, The coefficient of Conservative to change is 0.156 it shows every unit increase in conservative to change may increased 0.156 units in change management similarly in case of anxiety which have coefficient 0.123 it shows that every unit increase in anxiety increases 0.123 in change management. Correlation analysis is used to examine the strength of relationship between two variables. The Range of correlation is -0.1 to 0.1 if r=1 then it is perfect relationship, R=close to one (strong relationship), r=0.5 moderate relationship, near to zero shows weak relationship and zero shows no relationship between two variables. 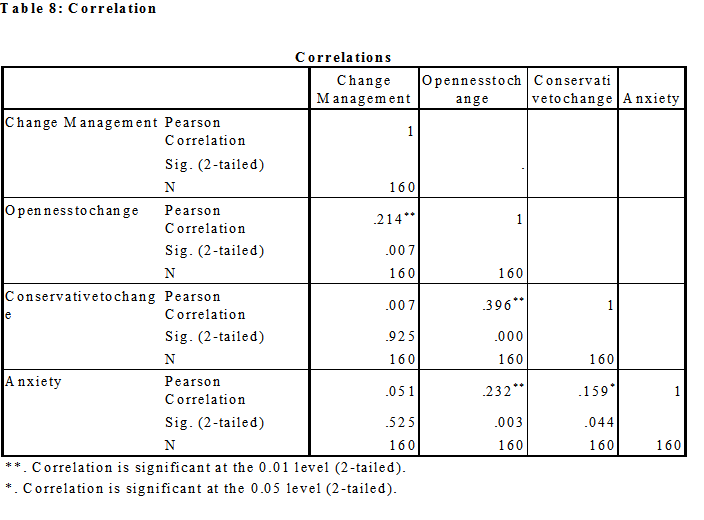 There are three independent variables ( openness to change, Conservative to change and anxiety) The table 5 shows the impact of independent variables on the dependent variable which is “change Management”. The diagonal shows there is perfect correlation between variables as well as themselves. Different organizations react different in change management. Some employees considered that change is necessary in their organization and some employees resist changing due to some security issues and it’s create uncertainty in workplace. The aim of this study is to find out relationship of different personal values (openness to change and Conservativeness to Change) and anxiety. There is significant relationship between openness to change and change. There is Significant Relationship between anxiety and Change. The findings shows according to the Regression Analysis and Correlation Analysis that there is only significant relationship between openness to change and change management so when employees are open to experience there are more chances to successful implementation. 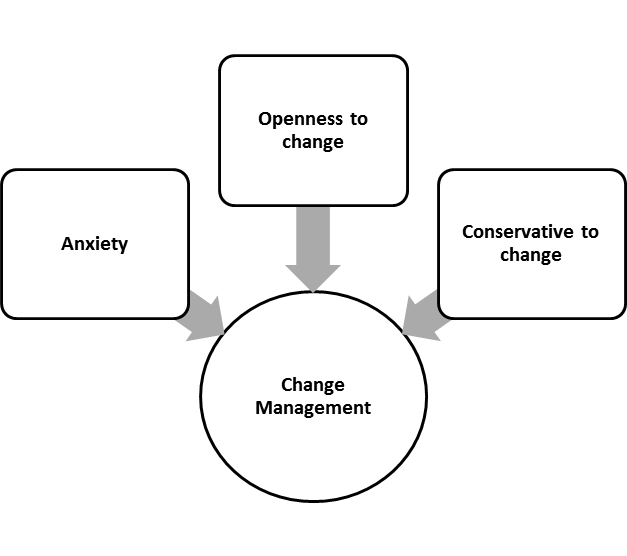 The second and third hypothesis is not accepted according to the analysis; it means there is no significant relationship between conservative to change and change management, no significant relationship between anxiety and change management. Chang management take place for many reasons, these reasons may be internal or external. Change in any organization is introduced to get more efficiency. Most of time no one notice that people resist the change and changed imposed on them it creates anxiety and intentions to quit the job, to avoid this situation there must be change process followed by the organization, during research it is noticed that universities usually not following any change process so it is necessary to follow the process that is according to needs of change and organization. The research is conducted in Public University this study can also be applicable for the university students, this research can be conducted with different variables and in different time horizon. A., Z. (1950). Resistance to change—its analysis and prevention. Advanced Management Journal, 15(1), 9-11. Alhamadni, M. A. (2006). Research Methodology: First Book: The basics of scientific research. 1st Edition Amman. Amman Arab University for Graduate Studies. Beer, M. a. (2000). Cracking the code of change. Harvard Business Review, 78(3), 133-144. Burnes, B. (2006). Managing change and changing managers from ABC to XYZ. Journal of Management Development, 22 (7), 627-642. Chawla, A., & Kelloway, K. E. (2004). Predicting openness and Commitment to change. Leadership & Organization Development Journal, 25, 485-498. Colletti, J. A., & Chonko, L. B. (2005). Change Management Initiatives: Moving Sales Organizations from Obsolescence to High Performance. The Journal of Personal Selling and Sales Management , 1-30. D’Ortenzio, C. (2012). UNDERSTANDING CHANGE AND CHANGE MANAGEMENT PROCESSES: A CASE STUDY. (5th), 321. Edmonds, J. (2011). Managing successful change. Industrial and Commercial Training, 43 (6), 349-353. Ertürk, A. (2008). A trust-based approach to promote employees’ openness to organizational change in Turkey. International Journal of Manpower, 29 (5), 462-483. Hayashida, K. (2009). Journal (American Water Works Association). American Water Works Association. Hunt, E., Paulsen, N., Tourish, D., & DiFonzo, N. (2003). Uncertainty during Organizational changes,is it all about the control. European Joural of work and organizational psychology, 13, 345-365. Inalhan, G. (2009). The unrecognised link between employees and their workplace (in change management projects). Journal of Corporate Real Estate, 11, 17-77. Juliana Sutanto, A. K. (2009). Change Management in inter organizational systems for public. Journal of Management information systems, 25 (3), 133-176. Kirings, J. S. (Dec 2003). Change Management-Strategy and Values in Six Agencies from the Australian Public Service. American Society for Public Administration, 63 (6), 675-688. Kotter, J. (2008, Sep 3). A sense of urgency. Boston: Harvard Business , 208. Lambert, Y. B. (2007). “Organizational anxiety: applying psychological concepts into organizational theory. Journal of Managerial Psychology, 22 (1), 84-99. Lattuch, F., & Young, S. (2011). Young professionals’ perceptions toward organizational change. Leadership & Organization Development Journal, 32 (6), 605-627. Leech, N. B. (2005). SPSS for intermediate statistics: use and interpertation. Lawrence Erlbaum Associates, Publishers, London. Leung, T. K., & Adams, J. (2009). Explaining IT usage in government through “resistance to change”. Journal of Chinese Entrepreneurship, 1 (3), 176-192.
lrmer, B. E., Bordia, P., & Jimmieson, N. L. (2007). Uncertainty during Organizational Change: Managing Perceptions through Communication. Journal of Change Management, 7 (2), 187-210. Manning, T. (2012). Managing change in hard times. Industrial and Commercial Training, 44 (5), 259 – 267. Meisiek, S. (2002). Situation Drama in Change Management: Types and Effects of a New Managerial Tool. International Journal of Arts Management, 4 (3), 48-55. Neus, H. H. (2009). Stop improvising change management. Strategy & Leadership, 37 (4), 38-44. Olgilive, J. R., & Stork, D. (2003). Starting the HR and change conversation with history. Journal of Organizational Change Management, 16 (3), 254 – 271. Oreg, N. S. (2015). Identification During Imposed Change:The Role of Personal Values,Type of Change and Anxiety. Journal of Personality,Wiley Periodicals, 83 (3), 307-319. Oreg, S. (2006). Personality,Context and resistance to Organizational change. European journal of work and organizational psychology, 15 (1), 73-101. Rao, M. (2014). 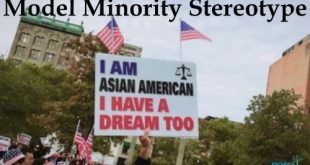 Cultivating Openness to Change in Multicultural Organizations:. Organizational Development journal, 32 (3), 76-88. Riegelsberger, J. S. (2005). The mechanics of trust: A framework for research and design. International journal of human computer studies, 62 (3), 381-422. Sverdlik, N., & Oreg, S. (2012). Organizational identification in organizational change:the role of personal values and type of change. Journal of personality, 83 (3), 307-319. Tavakol, M., & Dennick, R. (2011). Making sense of Cronbach’s alpha. International Journal of Medical Education, 2, 53-55. Waldersee, R., & Griffiths, A. (2004). Implementing change: matching implementation methods and change type. Leadership & Organization Development Journal, 25 (5), 424-434. Werkman, R., Boonstra, j. j., & van der Kloot, W. (2013). Changing Organization,Understanding complexity, not denying it. 41-50.